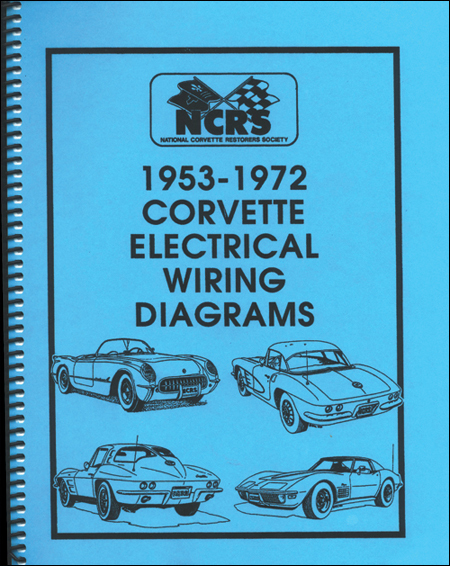 This 1953-1972 book contains Engine, Chassis, Body and Optional Equipment electrical circuit wiring diagrams reprinted from the NCRS Library which includes Service Manuals, Assembly Instruction Manuals, Owner's Manuals, etc. 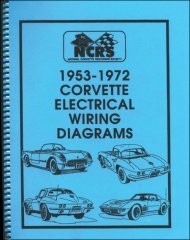 Each includes blowups of the main wiring harness circuit diagram for each year, plus additional diagrams for options and accessories. Spiral bound so they lay flat with 76 pages.